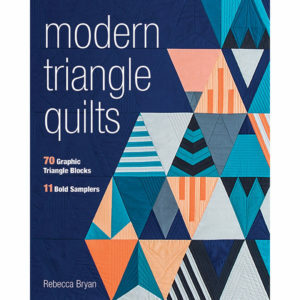 I’m Rebecca and I teach people how to make and design quilts. 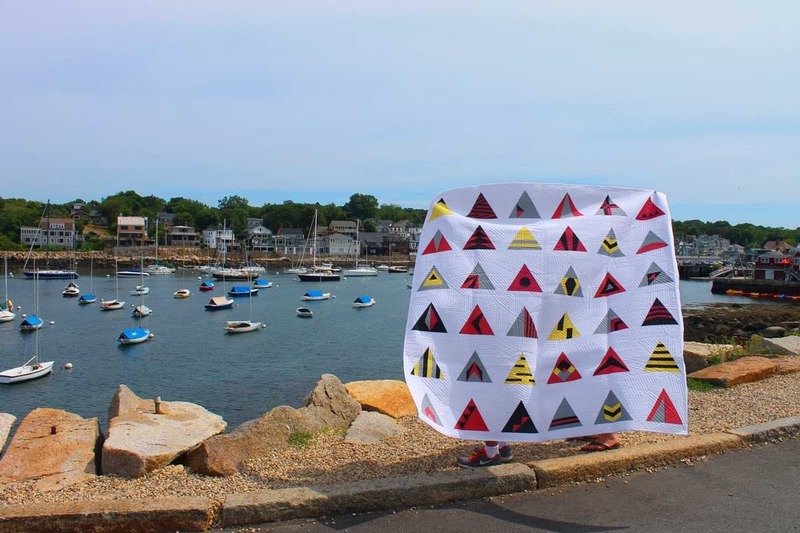 I’m most known by the colorful and geometric quilts I create. There’s just something about color and fabric that stirs my need to make and create. I love watching color and pattern come together in new and striking ways. Creating with fabric and color is somehow soothing and energizing at the same time. 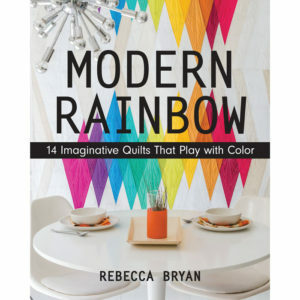 You might recognize some of my work from my two books, Modern Rainbow and Modern Triangle Quilts. After I get my kids to school, you can find me working to create colorful quilts and engaging products and workshops. A lot of time this work occurs on my laptop but sometimes I get to actually play with the fabric, ha! As a quilter, I’ve been featured in a ton of magazines. American Patchwork & Quilting, Love Patchwork & Quilting, and ModBlock, to name just a few. I’ve collaborated with several textile type companies. Robert Kaufman released my first fabric line, Panache in 2017 and I have a thread collection with Aurifil. I’m also pleased to work and sew with a Janome Sewing Machine. Though I don’t consider myself to be a “show quilter”, I have been honored with a Second Place Finish in the Minimalist Category at QuiltCon, 2017. When I’m not busy quilting in color, I love spending time with my family, my four kids, and my hubby. I love to watch them play and swim. We also really enjoy family games; Uno is a favorite. We just got back from living in the Netherlands for a year (what a whirlwind!). For an escape from (or reward for) hard work, I love to curl up on the sofa with a good book and an iced espresso or a glass of wine. I have a secret dream of becoming a novelist… someday…. I love serving the quilting world by creating fun, modern and classic, but always colorful quilts. Whether you want to become more skilled in choosing color palettes for yourself or you want someone to do all the color work for you, I’m your girl. If you’re interested in quilting in color, let’s get started with a connection! Below are different places you can find me. Choose whichever way best suits your needs. For weekly, video tutorials please subscribe to my YouTube Channel. I share my favorite quilting techniques and tips and strategies to play with color. Connect with my on Instagram to get a (nearly) real time peak at my day to day life as a textile artist and busy mom. To see what inspires me, follow me on Pinterest. Hint: lots of color, quilting resources, and art inspiration! The very best and most meaningful way we can connect directly is for you to join my newsletter list. I write regular newsletters that include a small letter from me, a round up of resources for you including links to tutorials, events, free patterns, resources, etc, and special offers for new products. I’d love to have you join my newsletter friends. To join click here.